The Los Angeles- and Oslo-based architect is collaborating with the South Shore Drill Team on We Know How To Order, a performance for the Chicago Architecture Biennial that responds to the geometry of Mies van der Rohe’s Federal Plaza and the architecture of authority. We Know How to Order will be performed on October 1, 2, and 3, 2015 in Federal Plaza. More information is available here. Bryony Roberts has made site-specific installations and live interventions an important part of her ongoing practice, in each case inverting and activating the formal arrangements of existing architectural spaces as a way of engaging with them in a new light. In 2013, Roberts’ project Inverting Neutra filled the void spaces of Richard Neutra’s VDL Studio in Los Angeles with dense groups of hanging cords that rearranged the house’s system of interlocking interior and exterior volumes. 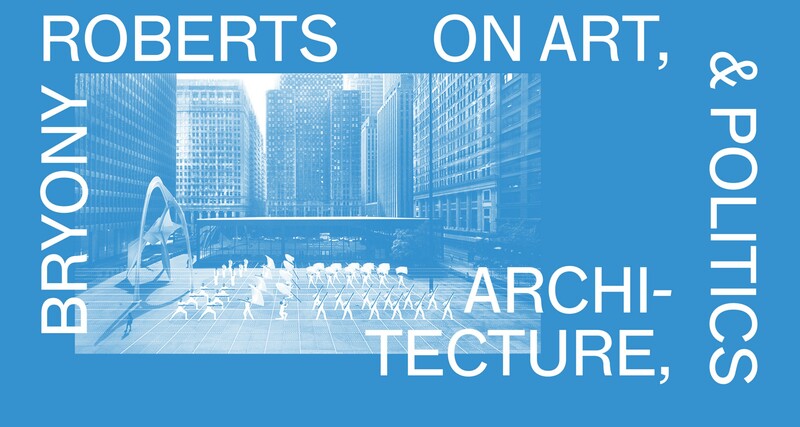 Roberts sat down with architectural historian and critic Sylvia Lavin, who directs the M.A. and Ph.D. programs in architecture at UCLA. Bryony Roberts: I’m really looking forward to hearing your thoughts on our project for the Biennial, and in general on the intersection between performance, preservation, and architecture. 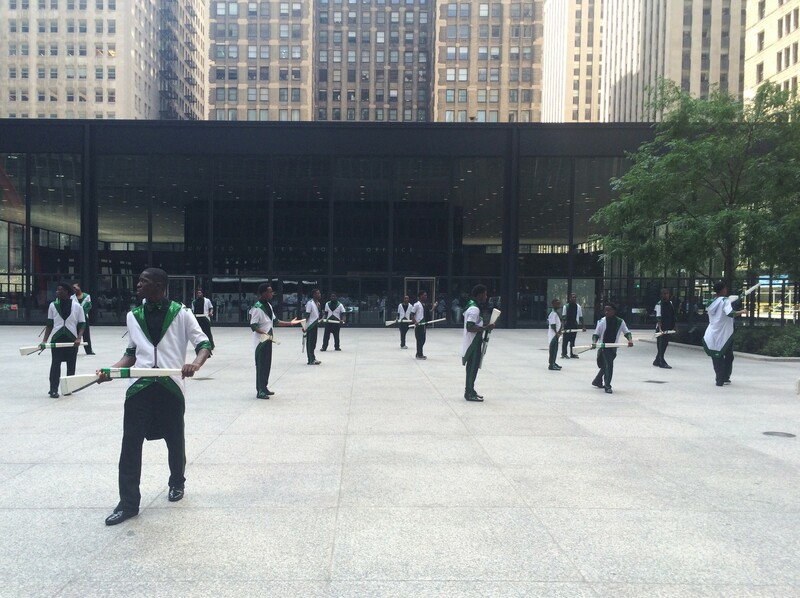 I’m collaborating with the South Shore Drill Team to do a site-specific performance at Mies’s Federal Plaza, called We Know How To Order. It’s a live performance that will take place during the opening weekend in which forty young people from the South Side perform high-energy drill routines responding to the architecture. The piece is about different systems of order and what happens when they compound each other. The space of the Federal Plaza is highly ordered by the architecture and the systems of security — there is a Miesian grid that dictates everything from the pavers on the plaza to the building facades, and was later used to place lines of security bollards. Its location within the downtown business district also reinforces its isolation from other urban activity. On the flip side, the South Shore Drill Team is a youth organization that trains people in highly disciplined, precise routines, which combine military movements with street choreography. Their goal is to use this structured program to keep kids away from violence on the streets. So I’m collaborating with the choreographer of the South Shore Drill team, Asher Waldron, to see how the two systems of order can be superimposed, with the drill routines transforming the lines of the Miesian grid into fast-paced movement. I sought you out as a respondent because you’ve written extensively about intersections between art and architecture, and about what happens when mediums come together, specifically in Kissing Architecture. Sylvia Lavin: I’m really struck by the fact that this is a federal building and we’re in an era in which the issue of black bodies and the state is so prevalent. I’m going to assume that you have things to say about it. It seems to be one of the issues under some pressure in contemporary architecture and that already indicates the shift in the field from that moment to this one. BR: Yes, that is a really important dimension of the piece. On the one hand, this piece is definitely about confronting the norms of the Federal Plaza, both its political and architectural norms. That space is a protected zone of Federal authority and an architectural landmark, so it holds expectations of non-threatening behavior to both political and architectural authority. In this project, the South Shore Drill Team remakes those conditions using their specific medium of choreography and drill routines. These are young people who are often made to feel unwelcome both in spaces of government and spaces of architectural prestige. But during this performance, they own that space and they’re remaking it as new authors there. So that political content is certainly there in the piece. But at the same time, I don’t want this to be a one-liner political statement. That’s in part why I didn’t lead with that. I think it’s richer if there are layers of how we use architecture and movement to structure bodies and those layers come out differently for each viewer as they are watching the piece. That’s what the title is about. It references a poem by Gwendolyn Brooks about African-American soldiers in WWII. In the voice of these soldiers, she describes how they were trained to order their behavior to assume the powerful and charismatic role of soldiers. But none of that training prepared them for the lonely moment of facing death, or the “lions in the air,” as she calls it. 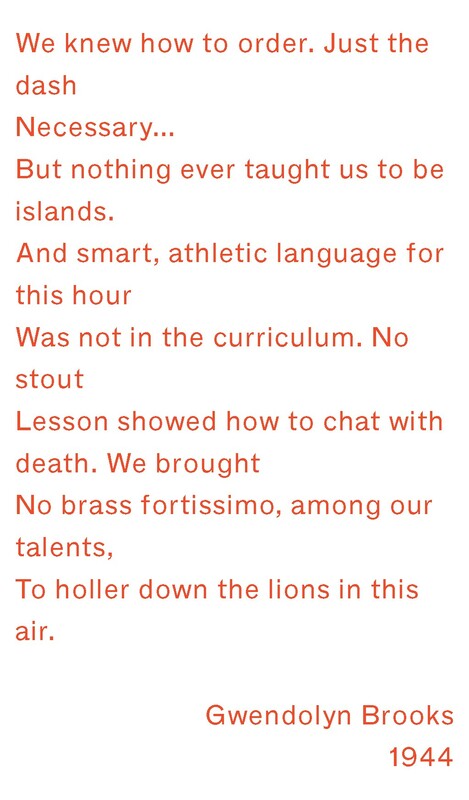 That poem really struck me because these young people on the South Side are facing their own lions in the air — in gang violence, police brutality, random shootings — and the tools of discipline and order they are given only partially protect them from that lonely moment. And finally, it’s been interesting to notice how it’s primarily white people who are asking for this piece to be more overtly political. The Drill Team certainly doesn’t want that. They approach the politics of the South Side by training these kids to be successful students and performers and then giving them as many opportunities as possible to travel outside of their neighborhood. So the last thing they want is an aggressive political statement or a confrontation with the government that would threaten their political and financial network. When I talked to them about the politics of this piece, it was very clear that their goal was not an activist piece but rather something that would keep building the institutional structure that allows them to actually shift the politics of the neighborhood. the space of the political and the space of the aesthetic. I think the issue on the table is whether that distinction holds true at all anymore, and whether or not the attachment to the distinction is an issue. You clearly think that they are different. BR: No, I strongly believe they are not separate. I think the aesthetic and the political are completely bound up together. What’s compelling about both the architecture of the space and the Drill Team is that the aesthetics are so laden with military and political undertones. So in the Miesian space, this relentless grid creates a system of order and control. But that system goes to a point where it reaches a kind of“rationalist sublime,” as Joan Ockman described when lecturing on Arne Jacobsen. That is particularly clear in the post office where the clear span space achieves many of the conventional qualities of the sublime — in its expansiveness beyond the scale of the individual. A similar thing happens with the South Shore Drill Team. They are performing military drills with rifles, so it’s very explicitly about symbols of power and violence but they are twirling and flipping and dancing with these guns in a way that becomes celebratory and expressive. So it’s not that the political and the aesthetic are separate; I’m just interested in how the aesthetic can take the political beyond its own assumptions. BRYONY ROBERTS is the principal of the design and research practice Bryony Roberts Studio, based in Los Angeles and Oslo. She worked in the offices of WORKac and Mansilla + Tunon before founding her own practice in 2011. She has taught at Rice University School of Architecture in Houston and SCI-Arc in Los Angeles, and is now assistant professor at the Oslo School of Architecture. SYLVIA LAVIN is an architectural historian and critic. She wrote Kissing Architecture (Princeton University Press, 2011), and curated the exhibition Everything Loose Will Land (The Graham Foundation, 2015) on architecture and visual arts in 1970s Los Angeles. She is currently director of the Critical Studies and M.A. and Ph.D. programs at UCLA. This is an excerpt of a longer conversation, condensed and edited for clarity by Consortia. The full text of this conversation and many others will be featured in The State of the Art of Architecture, the catalogue of the first Chicago Architecture Biennial. The book will be published by Lars Müller Publishers in November 2015.